If we were talking about a Lexus instead of a Toyota this wouldn't be a fair fight. But at least as far as the brands are concerned, Hyundai has raised its game so much that, honestly, most buyers will see it as an equal to Toyota. The Camry has a new look this year, decidedly more sporty and aiming toward younger buyers. Yes, the 2018 Camry is more distinctive than its predecessor, but that's honestly not saying much for a vehicle that has had a reputation and design that caters more to the safe, steady sedan crowd. Critics might find the aggressive new grille a mismatch with the elongated rear, looking like they came from two different vehicles entirely. The 2018 Elantra isn't as daring as its predecessor, or the Camry for that matter, but it's a more likeable and cohesive design that's honestly really easy to love. All the pieces work together to create a solid, stylish profile that looks more luxury brand than economical option. 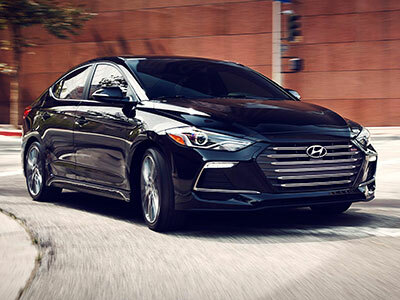 Although neither the Elantra or the Camry are anywhere close to being sports cars, the different sizes of these two inevitably bring different driving experiences. 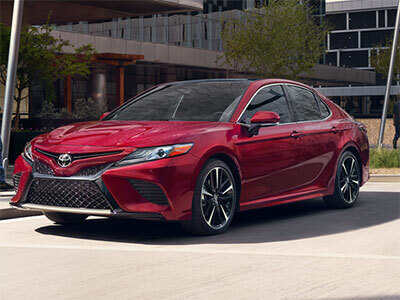 The benefits of the Camry come in its additional horsepower and torque compared to the Elantra, but the Toyota weighs close to 500 pounds more than the Hyundai which means the effect of that horsepower and torque is somewhat limited by the extra weight. The Camry also offers a V-6, which the Elantra can't match--in fact, the Camry is one of the few in its segment to continue to offer that option. Despite the extra horsepower and sporty revisions to its exterior, the Camry still doesn't feel like a sporty, lively car. Compared to the Toyota's sedate sedan vibe, the Elantra is smaller, livelier and more maneuverable than the Camry. If driving enjoyment is high on your priority list, you'll definitely choose the Hyundai. Under normal circumstances we'd expect the smaller, lighter Elantra to be more fuel-efficient than the larger, heavier Camry, but that's not entirely true here. The best ratings the Hyundai can offer are good at 32 mpg in the city, 40 mpg on the highway and 35 mpg combined. The Camry has something that the Elantra doesn't, which is a hybrid version. If you're counting the Camry LE Hybrid, the Toyota delivers 51 mpg in the city, 53 mpg on the highway and 52 mpg combined. The gas-only versions can manage 29/41/34 mpg, but the extra option gives the edge to the Camry. If we skip the cost-conscious base version of the Elantra and go to the SEL, which will likely be the starting point for most buyers, the level of standard features is impressive. The likes of a 7.0-inch touchscreen with Android Auto and Apple CarPlay, 16-inch alloy wheels, cruise control, Bluetooth and air conditioning are all standard, and it just gets better from there. To be fair, the equipment and feature levels are pretty similar with the Camry, but that's not really good enough when you're being asked to pay so much more money. In fact, an entry level Camry probably isn't as generously equipped as its Elantra equivalent. In reality, the Camry isn't that much bigger than the Elantra, but its price ticket certainly is. You'll get slightly more passenger space in the Toyota than there is in the Hyundai, but apart from that it's hard to see why Toyota asks for so much more money for the Camry. In our opinion, it would make more sense to opt for the 2018 Hyundai Elantra and keep the six and a half thousand dollars extra the Camry costs for something else.